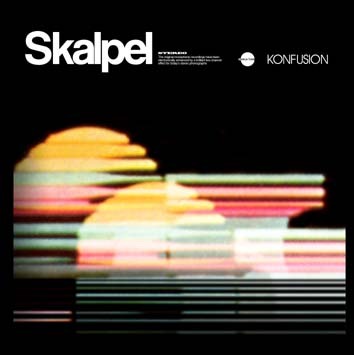 Polish duo Skalpel return with their second album for Ninja Tune and it’s a deeper, darker, more satisfying journey into the roots of Eastern European jazz and breaks than they have ever managed before. The Polish DJ duo aim to “resurrect the dusty and smoky spirit of ‘60s and ‘70s Polish Jazz and then re-imagine it for 21st century audiophiles”. This period in Polish history was deeply communist and jazz presented a different reality and an emotional escape. As they recently said in the UK based Flux magazine, “It was made in the underground and it has the sound of artistic freedom”. From “Shivers,” which does exactly what it says on the tin, on into the double bass-driven “Long Distance Call,” the wah-trumpeted, heavy riffing “Test Drive”, the funkiest drumming of the title-track , the cut up torch song aesthetic of “Deep Breath,” this is a record brimming with ideas, with atmosphere, with the kind of intelligent cut and paste that makes it an artform instead of a form of theft. Very much one for jazzers, beat heads and strong cigarette smokers, “Konfusion” is an album to soundtrack your espresso breaks and to play so that you don’t have to read Jean Paul Sartre. These boys are celebrities in their mother country, which suggests that the Poles have slightly better taste than we do. The extra special bonus disc which will also be included with “Konfusion” features remixes of tracks from the duo’s eponymously-titled debut rendered anew by the likes of Quantic, Dr Rubberfunk and Amalgamation of Soundz Including Skalpel’s own cheeky yet monstrous remix of 1958.